Energy Globe Foundation is a non-profit organization founded by Austrian energy pioneer, Wolfgang Neumann. Building on 30 years of experience in the area of energy efficiency and renewable energies, Energy Globe Foundation is a global leader in the area of sustainability. The primary objective of Energy Globe Foundation is to create a higher level of awareness all over the world concerning the necessity of using resources in a sustainable manner, especially as far as energy is concerned, and, on the other hand, by planning specific projects aimed at creating a more sustainable future for coming generations and improving living conditions in developing countries. By organizing a large number of activities, campaigns, projects and initiatives, Energy Globe Foundation has become a worldwide renowned organization whose international scope of action is extended to nearly every single country in the world. Energy Globe Foundation is supported in its activities by the Honorary Board – a think-tank consisting of recognized and well-known individuals from the fields of economics, politics, and culture. In addition, an international network of voluntary ambassadors is active on behalf of Energy Globe in numerous countries. In 1985 Neumann founded and organized the Energiesparmesse (Energy-Saving Expo), today’s leading trade fair in Europe for energy efficiency and eco-energy, in Wels (AT), as precursor to the Energy Globe Expo. On behalf of the province of Upper Austria, in 1991 Neumann devised the Energiesparverband (Energy-Saving Association) and developed it to a successful energy consulting institute. One year later Neumann launched the World Energy Saving Day, an international conference involving the elite among energy experts; it is held annually in Wels (AT). On behalf of the EU Commission, in 1993 Neumann founded an energy consulting center for Slovakia that was distinguished as the best European consulting center. On behalf of the province of Upper Austria, in 1997 Neumann conceived and established an energy consulting center in Budweis (CZ) and there, as with the Energiesparverband, served as CEO until 2002. In 1999 Neumann founded and promoted the international ENERGY GLOBE Award World Award for Sustainability. Conceived as the Oscar of energy saving, this environmental award annually distinguishes projects from all over the world that focus on energy efficiency and the use of renewable energy sources. The ENERGY GLOBE is presented annually as a regional award in all Austrian provinces, as a national award to projects from over 100 nations, und as an international award. Award presentation galas have been held in Japan, Canada, the European Parliament in Brussels, the Czech Republic to open the EU Conference of Environment Ministers and in Rwanda to open the UN World Environment Day. Over 6000 projects have been submitted since the founding of the ENERGY GLOBE. As the highlight of 2007, the international ENERGY GLOBE Awards were presented for the first time in the European Parliament in Brussels. On invitation of the European Parliament, in 2008 the international ENERGY GLOBE Gala returned to the Plenary Hall, where EU leadership participated in force. Sensational project submissions came from over 100 nations with over 1000 projects. Prominent personalities such as Mikhail Gorbachev, Kofi Annan, Peter Falk, Robin Gibb and Martin Sheen present the awards. The Energy Globe Online Portal, launched in 2006, is a comprehensive service and consulting platform for users, companies and experts focusing on energy-efficient construction and renovation, energy consulting, Energy Performance Certificates for buildings, and networks for consultancy, services, financing and technologies. 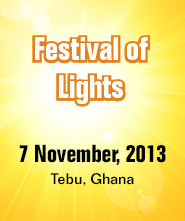 The ENERGY GLOBE Foundation Ltd. was founded in 2008; it now serves as the basis of all ENERGY GLOBE activities. In 2009 ENERGY GLOBE opened the EU Conference of Environment Ministers in Prague during the Czech EU presidency. In 2010 ENERGY GLOBE opened the UN World Environment Day together with UNEP in Rwanda. In 2012 the international ENERGY GLOBE Awards were presented in cooperation with the Austrian Association for Public and Social Economy (VÖWG) in the realm of the CIRIEC congress in Vienna, Austria. International TV stations have reported about the Energy Globe with over 1000 hours of broadcast time.